Today I have a cooking jumble instead of a baking jumble for you all. I have a window box of herbs, and needed to use some of my basil. The stuff is growing like a jungle faster than I can give it away. So, I decided to give pesto a shot considering I had all of the ingredients at home. 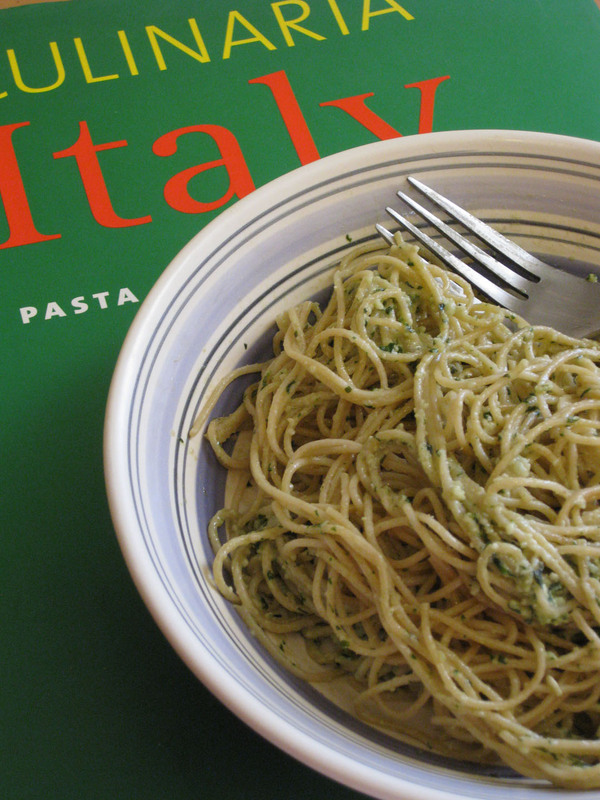 I got this recipe out of a coffee table/cookbook called Culinaria Italy. Turns out, this is a super easy recipe and a great alternative to traditional red sauce on your pasta in the summer. No kitchen catastrophes or cute stories to go along with this one, sorry. 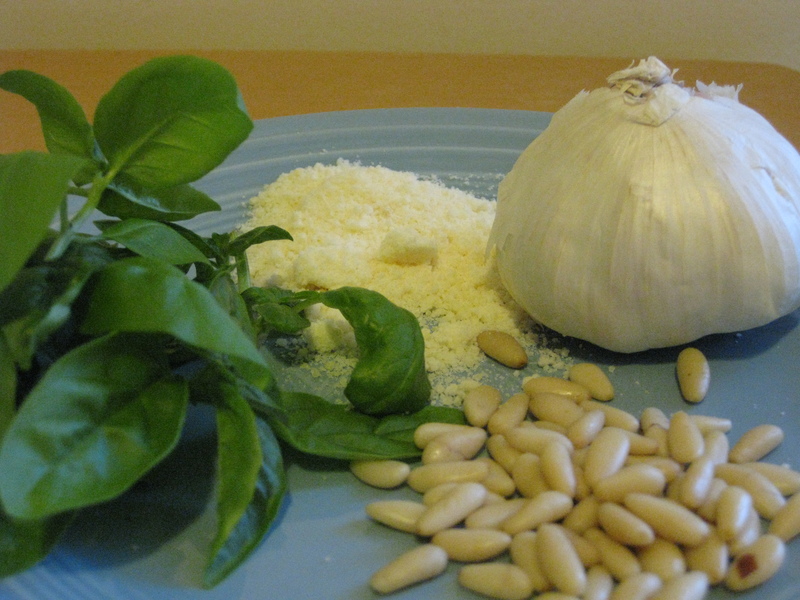 This entry was posted in Cooking Jumbles and tagged basil, cheese, pesto. Bookmark the permalink.